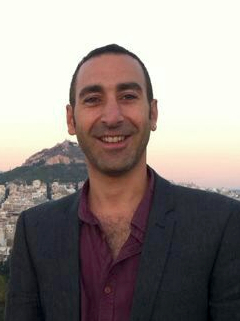 Dr George Georgiou is a Senior Lecturer in Psychology, teaching at undergraduate and postgraduate levels. George has lectured in the Department of Psychology at the University of Hertfordshire since 2000 and has also previously lectured at University College London (2002-2004). George did his first degree in Psychology with Artificial Intelligence at Middlesex University and then completed an MSc Research Methods in Psychology followed by a PhD in Psychology at the University of Hertfordshire. George's doctoral programme was in experimental cognitive psychology, for which he was awarded the Chancellor’s Medal for Outstanding Achievement in a Doctoral Research Programme. George then completed an ESRC funded Postdoctoral Research Fellowship with Prof. Ken Gilhooly investigating incubation effects in creative problem solving. George's research interests span the areas of cognition, social and health psychology, and the field of cyberpsychology. George is a Chartered Psychologist with the British Psychological Society (CPsychol - DARTP), an Associate Fellow of the BPS (AFBPsS), and a committee member of the BPS Cognitive Psychology Section. George is also a Chartered Scientist (CSci) with The Science Council, and he is listed on The Register of Qualifications in Test Use (RQTU). Kornbrot, D., Wiseman, R. & Georgiou, G., 12 Feb 2018, In : PLoS ONE. 13, 2, p. e0192808 e0192808. Erskine, J. A. K. & Georgiou, G., 1 Aug 2017, In : Consciousness and cognition. 53, p. 211-221 11 p.
Erskine, J., Kvavilashvili, L., Myers, L., Leggett, S., Davies, S., Hiskey, S., Hogg, J., Yeo, S. & Georgiou, G., 2 Oct 2016, In : Aging and Mental Health. 20, 10, p. 1010-1020 11 p.